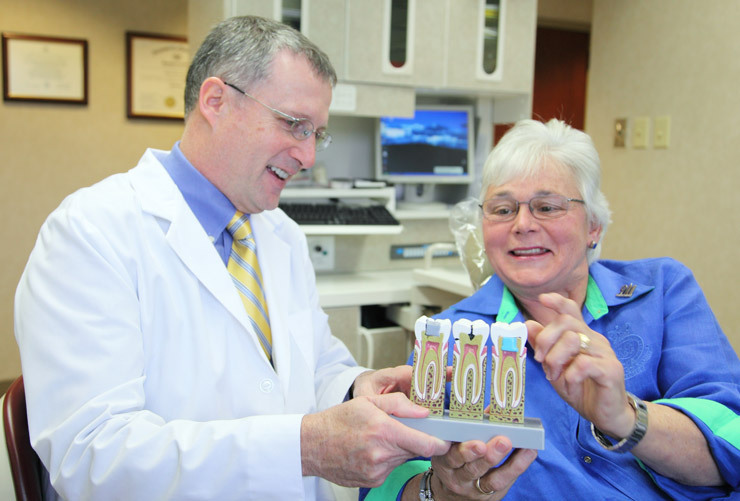 Dr. Snider is very experienced in treating gum disease. Gum disease, also known as periodontal disease or gingivitis, can adversely affect your overall health. Many patients don’t even realize they have gum disease until the damage is irreversible. Gum disease can increase the risk for cardiovascular disease, low-birth-weight or preterm babies, and can contribute to blood sugar control problems for diabetics. 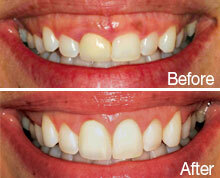 Additionally, the gum disease itself causes bleeding, swollen gums and tooth loss. Dr. Snider is experienced in treating gum disease and can help you prevent or eliminate it with gentle, effective treatment. Dr. Snider offers non-surgical treatment to handle mild and intermediate cases right in our office. He can usually take care of the problem before it becomes severe. The main cause of gum disease is bacteria. Poor oral hygiene, irregular professional dental cleanings, smoking or chewing tobacco, taking certain medications, defective fillings, crooked teeth and systemic diseases are contributing factors to gum disease. Ultrasonic Scaling and Root Planing or “deep cleaning” is an effective weapon to fight gum and periodontal disease. The scaling device looks like a small wand with a tip that produces ultrasonic vibrations. These vibrations in combination with a flow of water remove plaque, tartar and bacteria from the teeth, gums and mouth. Ultrasonic cleaning is more effective than old-fashioned methods and can remove build-up beneath the gum line and stubborn deposits. 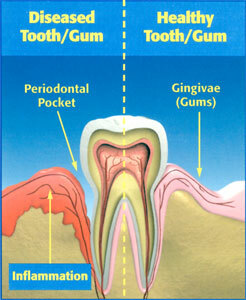 Because one cannot see inside the deep pockets between the teeth and gums, Deep Cleaning is done by feel. While this method eliminates a large portion of the bacteria and “barnacles” attached to the root of the tooth, an additional method is needed to fully handle bacteria under the gum. In addition to Deep Cleaning Dr. Snider uses Arestin® therapy to help rid your gums of infectious bacteria. Arestin therapy is accomplished by placing a special antibiotic in the deep pockets under the gum where bacteria accumulates. 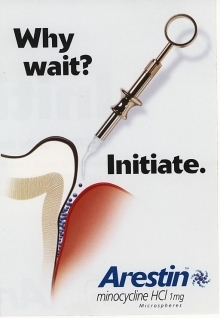 Arestin therapy greatly reduces the chances of further progression of the gum disease. In some cases, Dr. Snider may prescribe fluoride trays and fluoride rinses for high cavity patients. He may also prescribe other types of rinses, toothbrushes and more frequent in-office cleanings. A “gummy smile” is a condition in which too much gum tissue makes your teeth appear short. This is most likely not because your teeth are really too short, but they’re covered with too much gum tissue. To fix this this, Dr. Snider performs a crown lengthening procedure in which excess gum tissue is reshaped to expose more of your natural teeth. This advanced procedure can be performed on a single tooth to even out your gum line; or on many teeth to reveal a natural-looking smile.